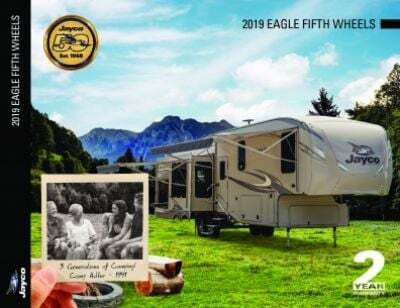 You'll go on long journeys without a worry in the 2019 Jayco Eagle 325BHQS 5th Wheel! Tradewinds RV Center in Clio, Michigan is a full-service RV supercenter offering astonishing pricing on all of our huge inventory of top brand RVs! So come in and see us today! 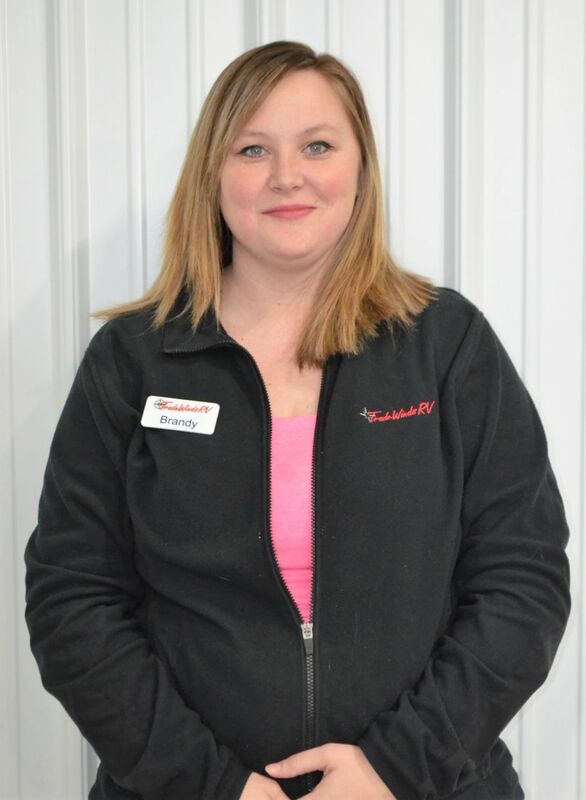 We're conveniently located at 4325 W Vienna Rd Clio Michigan 48420 and our friendly, professional staff will help you find your dream RV at a dream price! And even if you don't live in the Clio area, we have fast, reliable delivery service all over North America! Give us a call at 810-686-0710! Your perfect RV will be at your door in no time - and you'll save $1000s! This 38' 8" long, 8' 0" wide 5th Wheel is ready to tow and go with a hitch weight of 2265 lbs, and a sturdy GVWR of 13750 lbs! The 14' 0" patio awning means you'll enjoy shade and outdoor comfort! At 38' 8" long and 8' 0" wide, with 4 slides, there's plenty of living space in the Eagle 325BHQS for the whole family. When the temperatures outside aren't cooperating, everyone will stay perfectly comfortable inside thanks to the efficient 35000 BTU furnace and the modern 15000 BTU a/c unit! 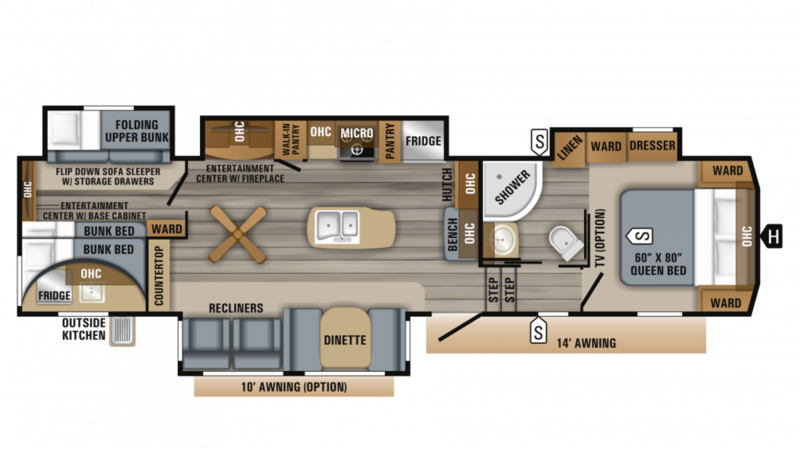 You'll love the superb master bedroom in the Jayco Eagle 325BHQS! It's beautiful and roomy, and the regal Queen bed is so comfy and spacious that you'll drift off to sleep in no time! There are great sleeping accommodations for up to 8 in this RV! Meals always taste better when you're on the road, and you'll whip them up easily in the 2019 Jayco Eagle, thanks to the great kitchen it has! The 8.00 cu. ft. refrigerator holds lots of meats, veggies, and cold drinks, while the 3 burner cooktop let's you cook up delicious hot meals for breakfast, lunch, and dinner! And clean up is never a problem, thanks to the 75 gallon fresh water tank and 60 lbs. of LP tank capacity for lots of sudsy hot water! Like to start the day with a hot shower and a shave? You can do it every morning in the exquisite bathroom! You'll have no water worries either because the 75 gallon fresh water tank and the LP tank capacity of 60 lbs. mean plenty of hot water for everyone! And you can skip the onerous trek to the campground's chilly, damp communal bathroom thanks to the easy to use and sanitary Porcelain Foot Flush toilet! The 50 gallon gray water tank and the 50 gallon black water tank store used and dirty water discreetly! Inside the bunkhouse, there are cozy Bunkbeds, perfect for your kids! They'll sleep snug and secure each and every night! You can whip up great meals outside on the handy outdoor kitchen! It opens easily, and you can make all your favorite foods, morning, noon, or night!